First and foremost when trying to manage an injury we need to find out what it is. Whether you’re a runner, golfer, footballer, rugby player or any other sport there is generally plenty of advice and suggestions online on how to treat the symptoms that you have. This can be helpful in allowing you to function until you get treatment and perhaps continue to train but unless you’re very lucky the chances of your self diagnosis being correct are slim. 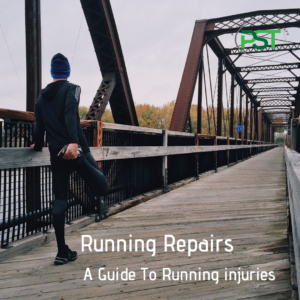 This is where coming to see us at Performance Sports Therapy fits into your return to activity as our job is to help identify what the injury is and, perhaps more importantly, what caused it. The first stage in managing any injury should be the old standby RICE, now PRICE or Protect, Rest, Ice, Compression, Elevation. It has though been suggested recently that this be changed to POLICE or Protect, Optimally Load, Ice, Compression, Elevation. The new kid on the block here is really the idea of Optimal Loading. Whilst the use of movement, exercise and other modalities have always been used at some point there is now a bigger push towards getting this started as soon as possible even if this simply means non-weight bearing movement. Extended periods of inactivity can lead to conditioning of the tissues – joint stiffness, muscle weakness and tightness and reduced proprioception hence the push towards getting movement into equation as early as possible. The idea behind Optimal Loading is that bone, muscle, tendon and ligament all require some loading to stimulate healing. 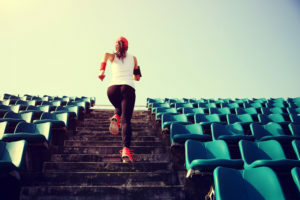 The movement can also help manage inflammation as it helps prevent fluid build up around the injury by moving the the excess fluid against gravity, as in lower limb injuries. Whilst complete soft tissue ruptures, fractures etc are not going to benefit from any loading in the initial period of healing, much more likely we’re talking about casts, braces and surgical repair. With less serious injuries we are still looking to avoid pain whilst at the same time move as much as possible. In the case of lower grade injuries we can often still train but we still want to follow some sensible guidelines and as I said avoid pain. In the acute phase, up to 48-72 hours, we are really thinking about (P)RICE but after this we enter the sub-acute phase and can look towards getting more movement. Assuming that we have identified what is wrong we can then set about strengthening the area so as to help avoid the problem re-occurring. This process should be done gradually to build up the work capacity of the injured area and not stress it beyond it’s ability to recover. We should also be looking to work on any area that may relate to the problem, calf strains in runners may come from issues elsewhere like poor glute and abdominal strength or simply being weaker than is ideal through most areas. Regardless of what areas are targeted the process needs to last a minimum of 6-8 weeks in order for it to be effective in rehabilitating the problem. Whilst strengthening specific areas we can still carry on with our specific training by scaling back the movements. If we are running and the injury allows we can still run reducing the length of any one session and the number and also drop all tempo or speed work thus we can get the specific strengthening effect from the running itself without overloading. Then as we progress through the rehab process the volume and intensity of the running can be increased. The same idea can be applied across all sports, we want to get back to full fitness as soon as possible but we don’t want to get injured again doing it.